By Anita Kelsey. Copyright 2016. Featured photo: Protectapet. I’m asked many times by cat owners what is the best option for their cat when they wish to take a well needed break. Many of my clients worry about this and some to the point that they won’t actually take a holiday at all. I’m here to tell you what is best for your cat when you go on holiday? Their are many different options out there such as cat boarding in someone’s home or a cattery, cat hotels, cat sitters and live in cat sitters, boarding at a vets or friends homes. Eliza didn’t like going to the vets at the best of times. To be boarded there would have been extremely stressful. Other options, for cats that are used to travelling by car and who have outgoing confident personalities, are to take them with you (if in the UK). Some cats have been trained to travel with their owners from kittens and enjoy the process. These cats are most likely lead trained. However, the majority of mogs do not travel well and are not used to holidaying with their owners and so this article is for them and their owners. My cat Kiki who was lead trained at 6 months. She goes on holiday with us on a regular basis. She loves travelling and is used to the car as a mode of transport. This is not the norm for most cats. The first thing a cat owner has to do is understand how cats sees the world and what territory means to a cat. Territory is in fact everything to cats. It is a place they feel safe in, surrounded by their own familiar smells and familiar sights and sounds. Territory is where a cat eats, sleeps, gets owner contact care and attention so very much connected to its survival. They own their own territory and will defend it at all costs. So imagine, in one quick swoop, removing your cat from its place of safety into an unknown environment such as a cat boarding facility or cat hotel. Suddenly, not only is your cats feelings of security and safety compromised internally but everything they knew connected to their safety and survival is taken away including their familiar human caretakers. This would create stress for sure. For free roaming cats the added stress of being removed from a space they naturally defended against other neighbouring cats can create situations like unwanted peeing upon their return. Not only do they have to find their place outside amongst the other cats again but neighbouring cats may quickly have moved into their garden. It’s a complicated world that we do not think about. Leo gets to remain at home guarding and enjoying his garden when his owners travel. Imagine how he would feel being removed from this space for 2 weeks. What neighbouring cats would have moved in by then? Cat Hotels and boarding in vets creates stress because the smell of other pets or other cats can, no doubt, be overwhelming. On top of this they are kept in a confined space possibly being able to see other cats too. Nothing around them is familiar anymore. The same can be said for people who board cats in their own home. I heard of one lady who boarded a blind cat only to have the cat wandering around her home for days crying because it no longer felt safe and no longer knew where any of the furniture was placed. That is something that shouldn’t have even been considered in the first place. The best solution for cats is to allow them to stay within their own home. With this option comes three possible cat caring solutions. Cat sitters. A cat sitter can visit the home once or twice a day everyday, play with your cat(s), feed them and make sure everything is ok with them. Make sure the cat sitter is a genuine lover of cats and comes with strong client recommendations. In fact, ask for the contact details of a few recent clients when you meet your cat sitter. Also make sure your cat sitter has a updated CRB check. Most important of all watch how they interact with your cat when you meet them. Live in cat sitter. This option is great for cats that suffer from separation anxiety or special needs cats such as blind or ill cats. There are many companies that now offer a live in cat sitting service and this means your cat, especially if they are on daily medication, can be properly cared for and monitored. Live in cat sitters do not charge too much more than double sits per day. Again, make sure the live in cat sitter is a genuine lover of cats and comes with strong client recommendations and a current CRB check. A friend. Don’t underestimate friends who would be willing to help out. If a friend is local then they may well be happy to pop by everyday to spend some time with your cat. A friend may also even offer to stay in your home especially if you live in a desired area of town or in the country! If your friends have cats then the favour can be reciprocated. Indie suffers from separation anxiety when her owners go away so she has a live in cat sitter now. With all of the above three options your cat gets to stay put, within it’s familiar territory. Free roaming cats can still guard and defend their garden and do all of the things they naturally would do with you there. Cats do very well with both daily cat sitters and live in sitters making the experience of their owners travelling much easier to deal with than being removed to a strange place. Remember, our cats DO NOT like change to their routine. On a recent behaviour consultation I was confronted with the issues of peeing around the home. Both cats go often to a cat hotel. Both cats are indoor cats that suffer from separation anxiety and also have no idea about other cats. In the cat hotel they were in a spacious room but with a view of other cats. Nothing in the room was familiar and worst of all.. where were the familiar smells of their owner? Once it was explained how my client’s cats would have seen this form of removal every-time she travelled, it became clearer that other options have to be found. Always see your actions from the cats point of view. 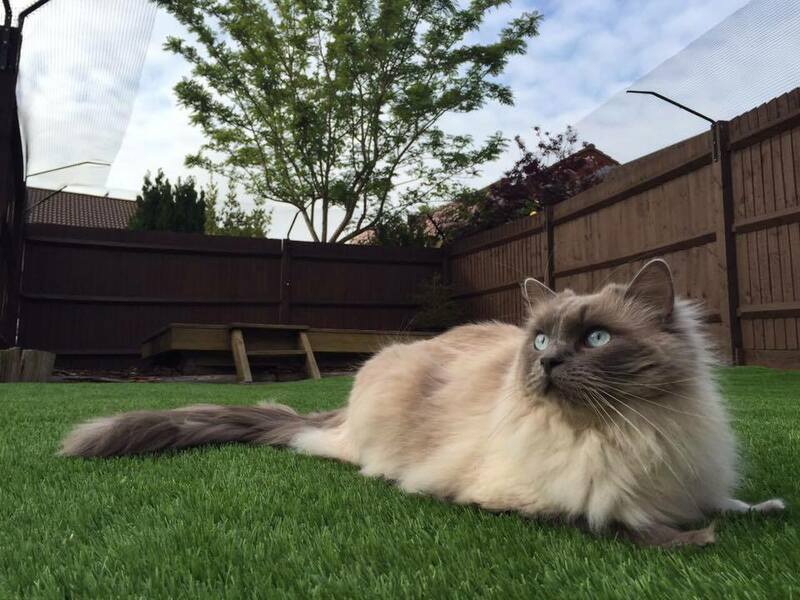 Everyone needs a holiday away from their beloved cats but our cats don’t need to go anywhere! Let them stay at home and be cared for. what is best for your cat when you go on holiday? and many other subject matters can be found on the feline advice page.